Johannesburg, 1 December 2016 – Working with national and international brands is always exciting. However, working with an international brand that has its roots right here in South Africa and who’s owners are so passionate about this amazing country, is simply inspiring and frankly a real privilege. 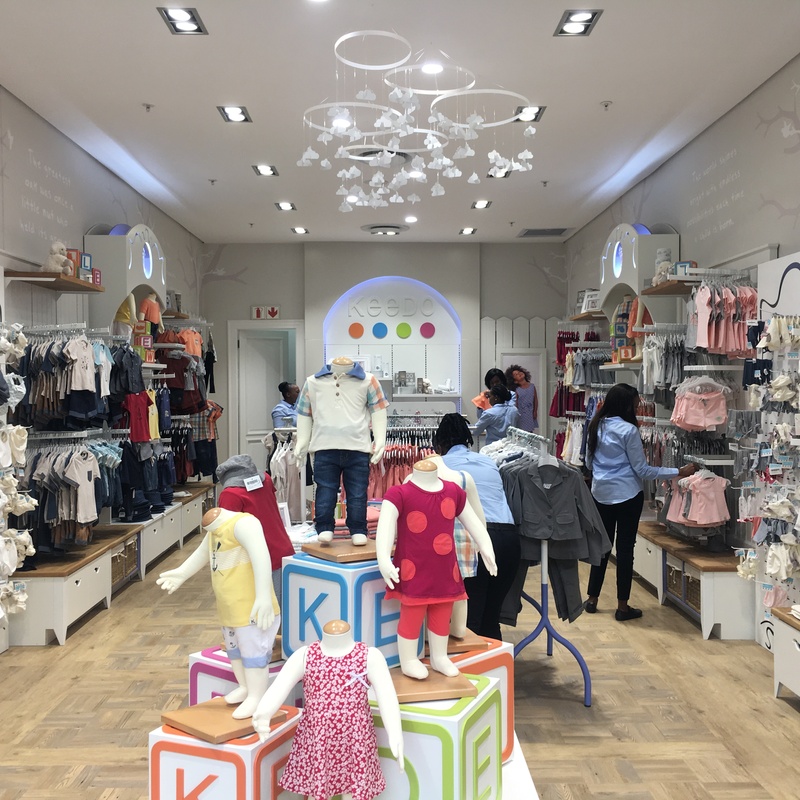 That is why when the opportunity to work with the team at South African children’s clothing manufacturer and retailer Keedo came up, we felt an immediate chemistry that attracted us to the Brand. 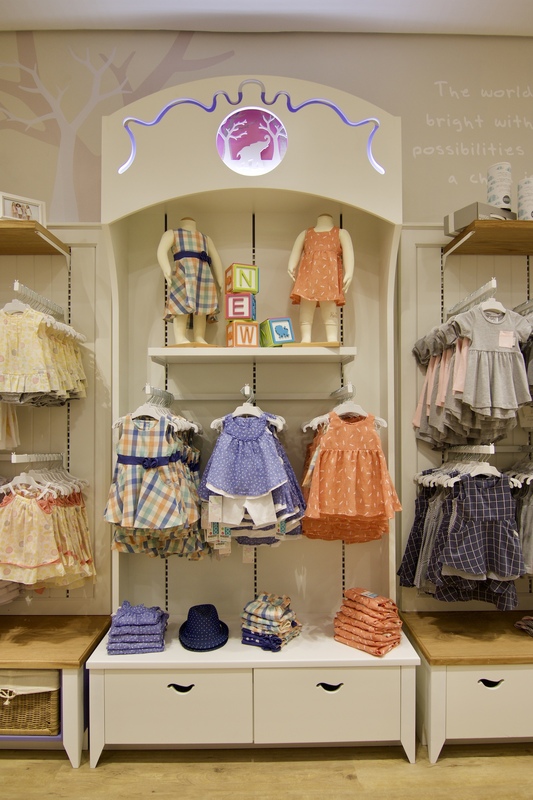 Keedo clothing blends imagination,comfort and style to create functional and fashionable designer clothes for kids worldwide. 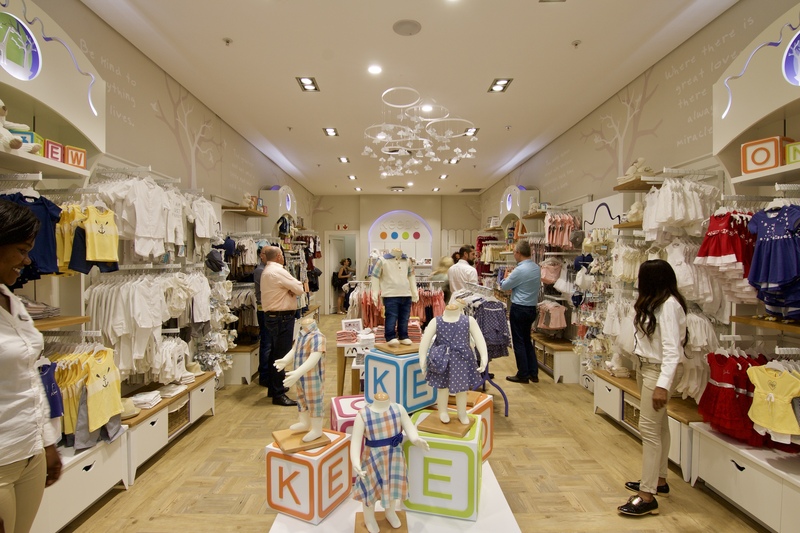 We were briefed to design a new look store for Keedo that would clearly communicate the Brand proposition of great garment design matched with top quality fabrics. We took our inspiration from a New England-style children’s nursery or bedroom with emphasis on clean and immediately recognisable interior architecture. 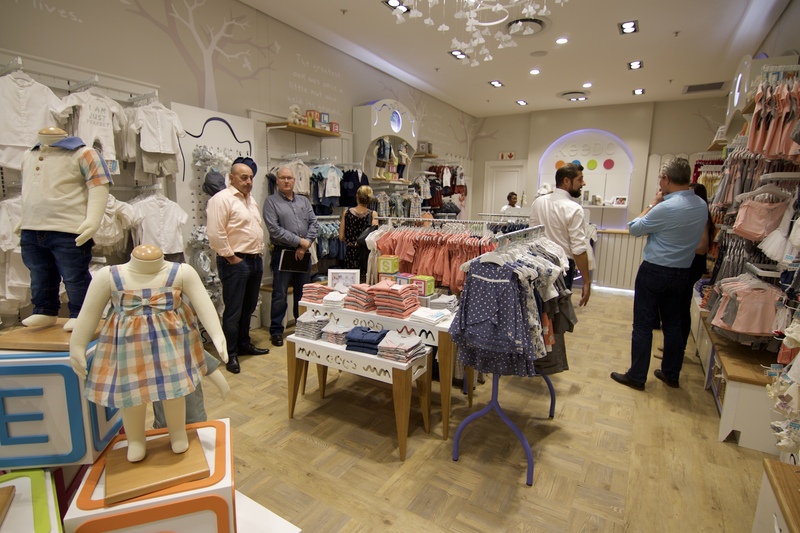 We created hero or focal units within the store to allow the merchandising teams to tell strong visual stories for the various categories within the range. 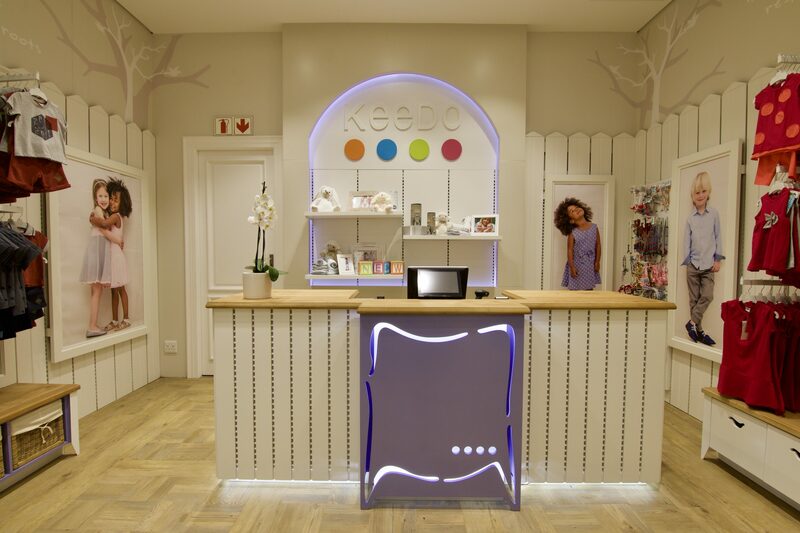 We worked closely with Keedo founder Nelia Annandale to develop quirky and ownable visual merchandising elements which tied the design back to its African roots. We introduced visual cues such as hand-woven baskets with cotton liners and bespoke “origami’ cloud mobiles hanging from the ceilings to add those all important layers to the shopping experience. 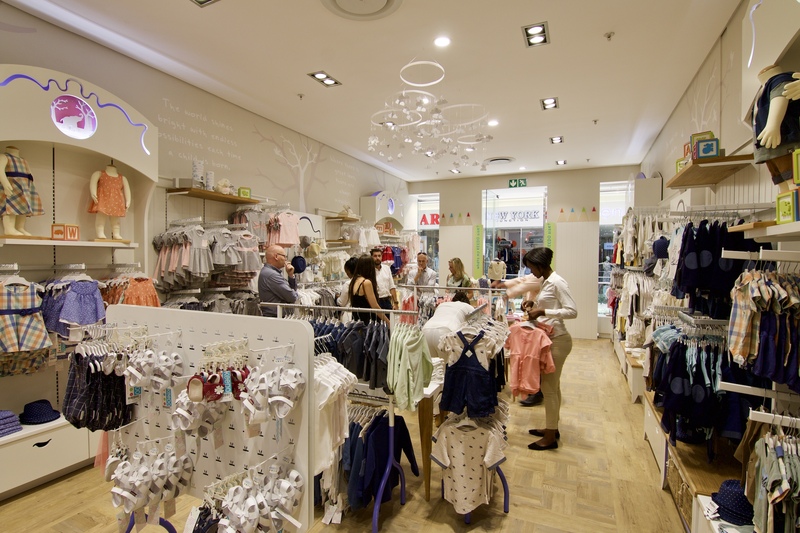 We introduced a really flexible wall band system throughout the store and housed it in such a way that seamlessly integrates into the scheme. Because the product is inherently lighter than adult clothing we were able to engineer brackets which have a far smaller, and prettier, side profile than usual. 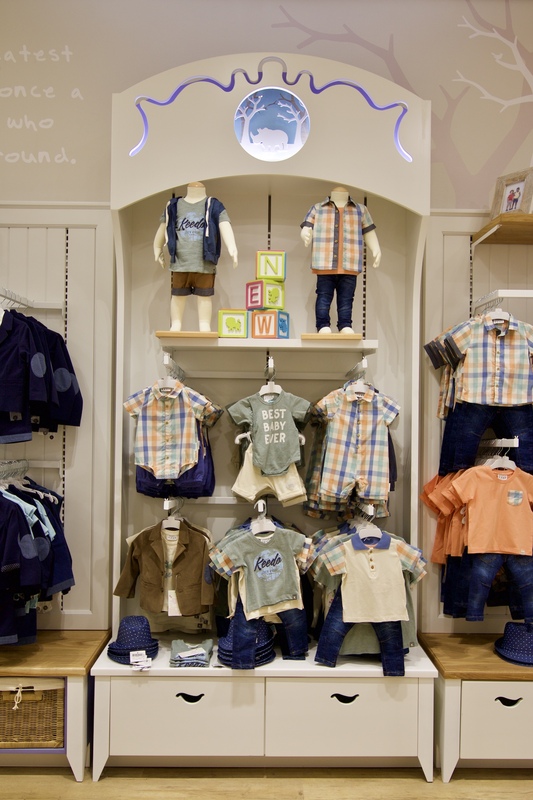 The result is a store which creates the perfect platform for the Brand. It is smart without being intimidating and functional without being industrial. For more on Keedo check out their Facebook page here and if you’re interested in speaking to one of us here at Dakota about all things interior, then simply click here for our contact details.